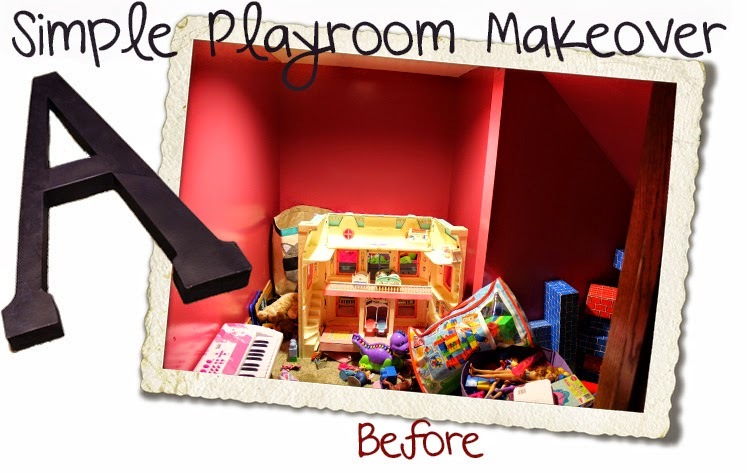 Home > Blog Home > Blogs > Easy Playroom Makeover ! 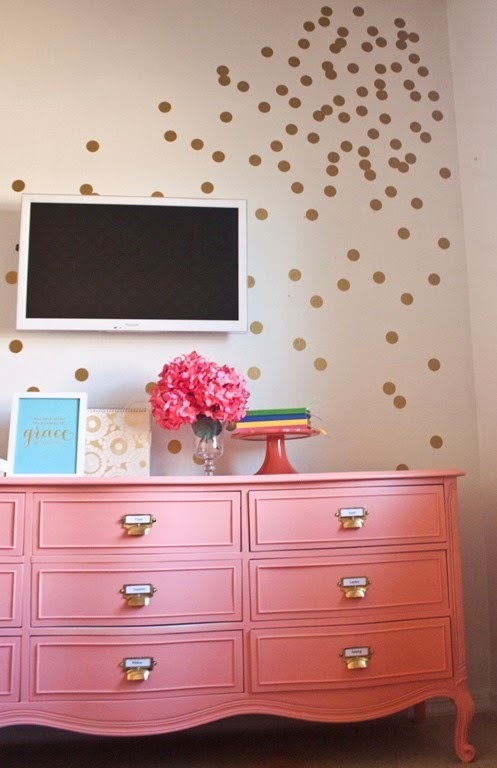 Turn a small space into something really special ! So, this is what I was dealing with. A bright pink "room" under our stairs that my toddler uses as her playroom. She chose the color, of course. Try as I might, nothing but blinding pink would do. I decided to make the most of it and find a way to dress it up (and keep it organized!) so everyone will be happy. 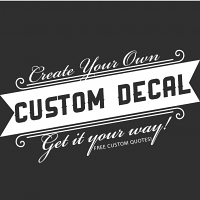 I had just redone another room in our house, and added some beautiful decals from Beautiful Wall Decals for the finishing touches. 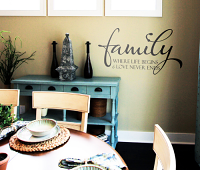 They were so easy to apply and looked just like they had been hand painted on to our walls. I checked out their website again. Once I saw these Confetti Dots, I knew I found the perfect solution. 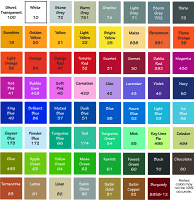 Before I could think twice, I asked my daughter what color she wanted. Thankfully, she chose the gold, which I also thought would look really pretty with the pink. I decided the room needed a focal point as well, to help break up that glaring pink color. A cardboard initial from the local craft store, painted quickly with some Navy paint, did the trick, without much of an investment of time or money. I let it dry and then I applied some of my new dots all over it. Ten minutes later and I had the perfect centerpiece! I had a ton of dots leftover (the 2" size that I ordered came with 132 dots! 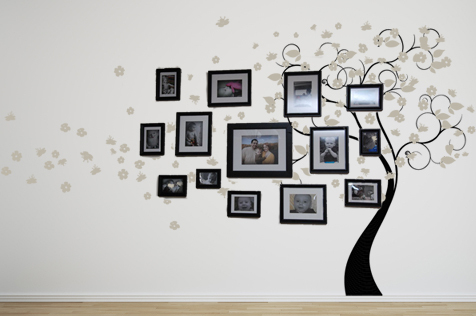 ), so I applied them all over the walls. I decided to go with a more organic approach, and not apply them in straight lines. 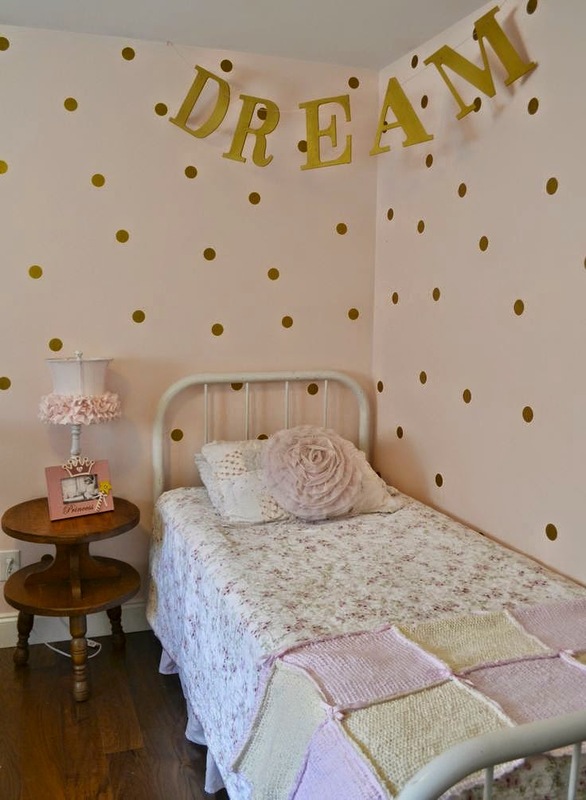 That saved lots of time on measuring and went better with the playful theme of the room. All I had left do after that was hang up my polka-dotted A. I used removeable velcro strips. No damage to the walls, and if I want to hang something else there later, I can. Now it's your turn. 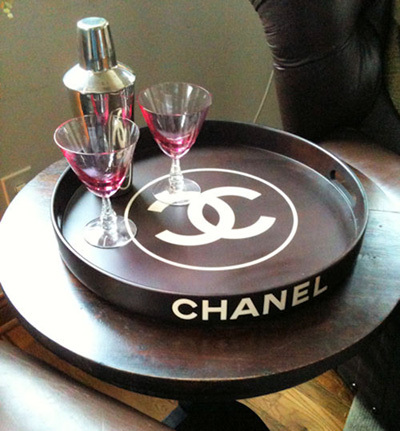 I know you have a room or little nook in your home that could use a little attention. 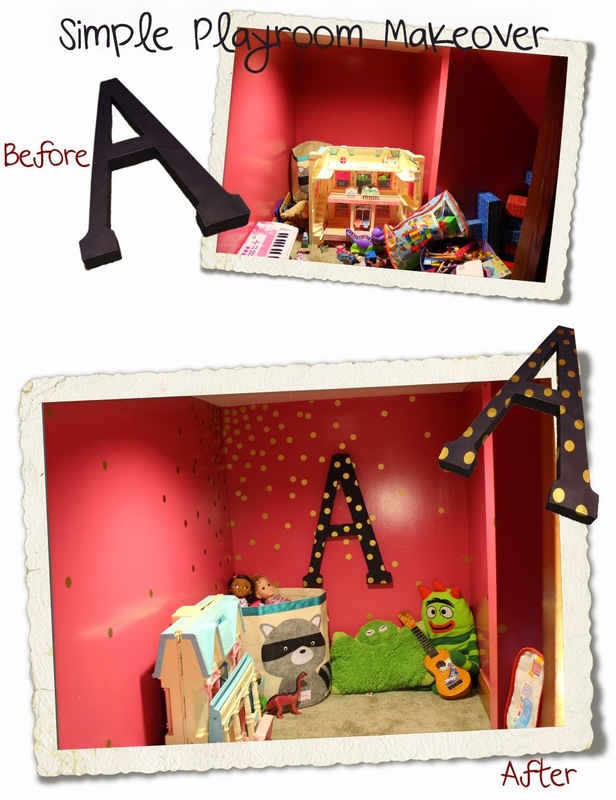 As you can see, with just a few dollars and about 20 minutes, you can make an unused space into something special! 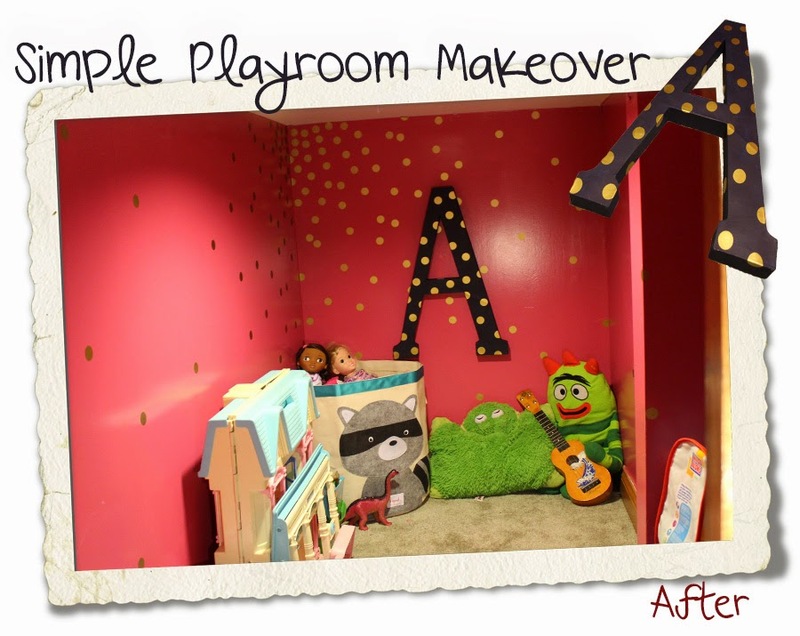 Comments on Easy Playroom Makeover !